yayy my brushes are here!! i ordered them from crownbrush.com either sunday or monday and they got here friday which is super fast! i haven't used the liner or the face brushes yet but they are sooo soft! i love them..
i'd def. order from here again..
Mascara- Sugar DoubleWink hope u like!! 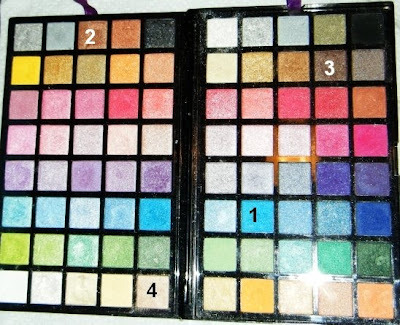 and i love the eyeshadow palette in this post!! your welcome and thanks for following mine! Blogger is acting retarded so I can't see the pics and u didnt come up in my updates =( I came on ur page to let u know i wrote back to u in one of my entries thru comment but I figured u didnt see it and I noticed u wrote an entry. I agree, blogger is being kinda weird. ok i think i fixed it! YAY! Now I can see all the pictures. Welcome. lol You use pencil, right? I only use liquid liner these days. That kabuki brush is soooo adorable! I want a pink one but I don't do face makeup mostly because I'm new to this makeup thing and I never quite know what I'm doing. You on the other hand are amazing at it. That eye look you did is amazing. I love it. I need to invest in some UDPP cuz I have that whole crease problem. I prefer liquid > pencil any day! Need to pick me up some colored liner though. Rhimmel has some good pencils! Just might pick up the thin NYX ones for 99cents. those brushes looks nice!! i wish i had ur eyebrows man! WOW! Another cool make-up! I love your cool color combinations ever! love your look! I checked out that crown brush site, the brushes are pretty cheap I'm probably going to buy from there soon. I loveee that pink kabuki its one of my faves! 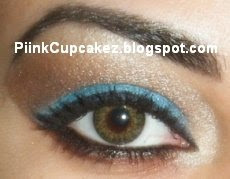 that shadow palette looks good - i just ordered my coastal scents one and will see what happens. ooh love the EOTD. that palette is pretty. i've always wanted to try crown brushes. i do have loew-cornell ones that work just the same. they're awesome. 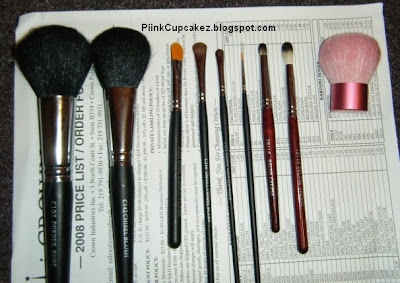 love the look, and that's a great deal for those brushes! Seriously looking fierce! 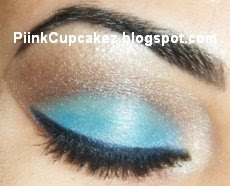 Perfect eyeshadow. I don't know how you do it, but you do it everytime. ;) Still addicted to your page too. congrats on the gossip girl contest chickadee! congratulations my fellow gossip girl winner... have a fabulous weekend!!! 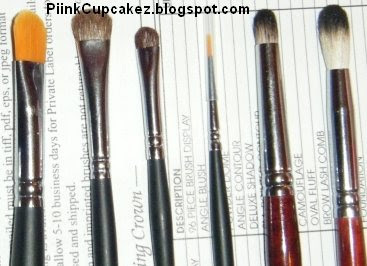 On Crown brushes, Can you pay with credit card on the website? Or how do you pay?